Áskorun á forystu Tesla:Við skorum á Tesla að opna sölu-og þjónustustöð á Íslandi. Íslenski bílamarkaðurinn er að breytast hratt þar sem sala rafbíla og tengibíla hækkar ár frá ári. Áhugi á rafbílum á Íslandi er mikill sem sést best í aukningu eftirspurnar ár frá ári. Á árinu 2017 voru 14% allra nýskráðra bíla rafbílar (2,990 bílar) sem samsvarar 157% aukningu í rafbílasölu frá fyrra ári. Það er næst mesta árlega hlutfallsaukning í rafbílasölu í heimi! Þetta var þrátt fyrir að biðlistar séu eftir rafbílum og Tesla selji ekki bíla sína á Íslandi. Stærsta vandamál rafbílamarkaðarins á Íslandi í dag er að eftirspurn er meiri en framboðið. Í dag eru einungis ~75 Teslur á götum landins (0.03% af skráðum bílum) og eru eigendur þeirra í þeirri erfiðu stöðu að geta þurft að senda bíla sína úr landi með skipi til viðgerða komi upp viss vandamál í þeim. Þetta er mjög dýrt og tímafrekt og skýrir að mestu hvers vegna svo fáir hafa flutt inn Tesla bíla til landins. Þetta er algjör andstæða við stöðuna hjá nágrönnum okkar í Noregi þar sem Tesla hefur sterka stöðu á markaði og sala er mjög mikil. Rafkerfi Íslands er fullkomið fyrir framtíðarsýn Tesla og rafbíla yfir höfuð þar sem allt afl sem framleitt er inn á kerfið kemur frá endurnýjanlegum orkugjöfum. Ca. 80% af framleiddu rafmagni á Íslandi kemur frá vatnsaflsvirkjunum og 20% frá jarðvarmavirkjunum. Þó nokkuð óvirkjað umframafl er í vatnsaflsvirkjunum landsins eins og þær standa í dag, nægjanlegt til að sjá rafbílavæðingu fyrir rafmagni mörg ár inn í framtíðina. 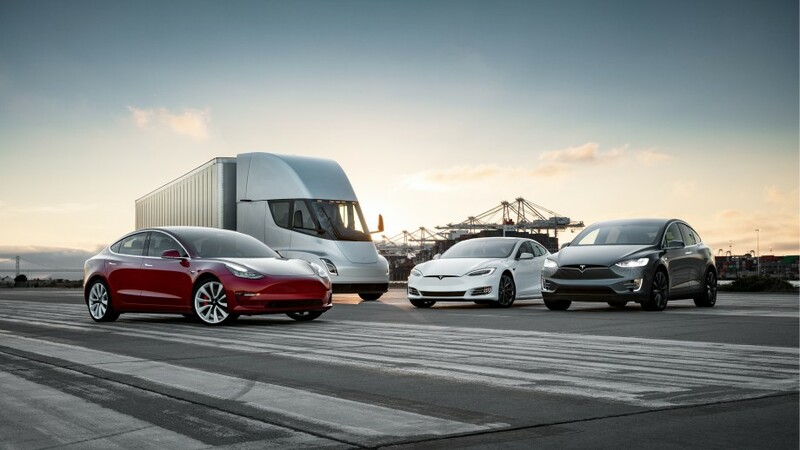 Undirritaðir telja að nú, með komu Model 3 til Evrópu, sé komin tími til að Tesla opni sölu-og þjónustustöð á einum mest vaxandi rafbílamarkaði í heimi. Við skorum því á Tesla að hraða áætlunum sínum um komu til Íslands! TESLA, VIÐ ERUM TILBÚIN Í S3X Á ÍSLANDI! To the European and global leadership of Tesla: We urge and welcome Tesla to open a sales- and service center in Iceland! The Icelandic automotive market is rapidly changing, with adoption rates of pure electric and plug-in hybrids rising sharply every year. The national interest in EV´s is high, most prominently evident by strong demand growth. In 2017, 14% of new vehicles sales were BEV (2,990 vehicles) which represents a 157% increase in BEV sales. That's the second highest year-on-year growth in the world! This is despite of the fact that there are long waiting lists for all types of available EV´s and Tesla doesn´t sell here at all. Iceland's biggest EV problem right now is that demand far outpaces supply. Today, only ~75 Teslas (~ 0,03% of registered passenger vehicles) grace Icelandic roads with their presence and the owners of these cars are in the precarious situation in terms of maintenance and repairs since shipping their vehicles to another country is often required to fix a problem. This is an enormously expensive and time-consuming undertaking and explains why so few have purchased Teslas and imported to Iceland. This is in stark contrast to our neighbours in Norway where Tesla has a strong presence and sales are very strong. Iceland's national grid is perfect for Tesla's mission and EV´s since every kW of produced power comes from renewable energy sources. 80% of the electricity in Iceland is sourced by hydropower and 20% by geothermal power plants. Considerable spare capacity is embedded within the existing hydropower system, exceeding the requirements of electrifying the passenger fleet in the country for years to come. The undersigned feel that with the M3 entering the European market it is time for Tesla to enter one of the world’s fastest expanding EV market. We therefore petition the leadership of Tesla Motors Inc. to expedite the process of entering the Icelandic market. TESLA, WE ARE READY FOR S3X IN ICELAND! By signing, I authorize Hjörtur Brynjarsson to hand over my signature to those who have power on this issue.